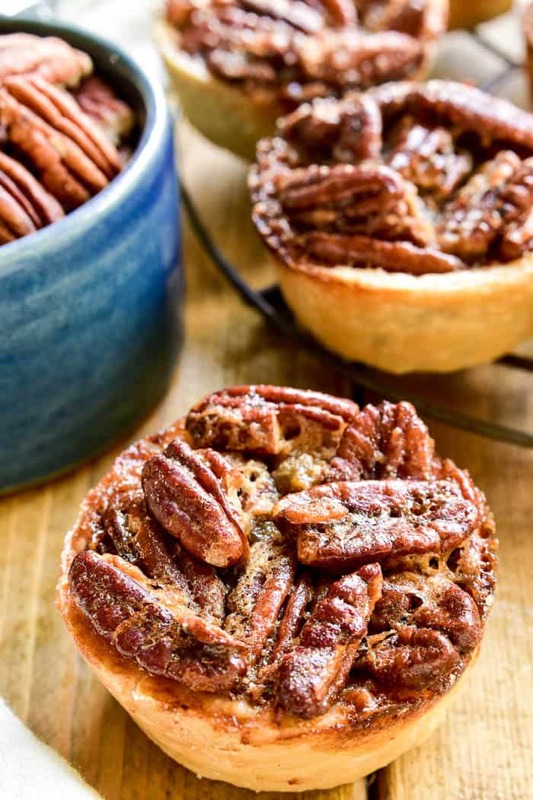 Mini Pecan Pies are the most delicious holiday treat! Made with just a handful of ingredients, these pies come together in no time and are perfect for holiday gatherings. 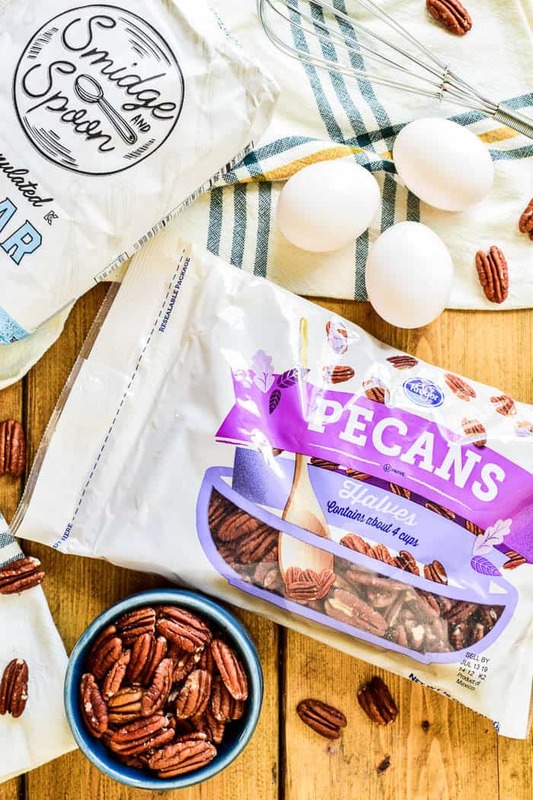 They have all the flavors of pecan pie you know and love, from the crunchy pecans to the gooey filling to the flaky crust. And the individual serving size makes them ideal for entertaining. 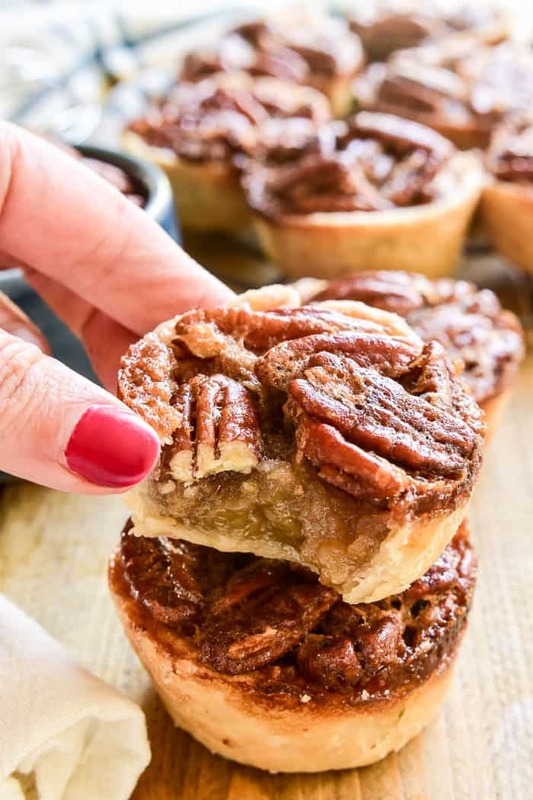 Whether you love pecan pie or are just looking to try something new, you’ll absolutely LOVE this fun Mini Pecan Pie twist! Anyone else seriously ready for Thanksgiving? I know I’ve said this before, but it really is one of my favorite holidays. Because it’s not about the gifts or the costumes or the decorations or the excitement. It’s JUST about the food. Which….let’s be serious….is pretty much ideal. 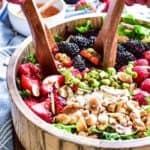 I love everything about Thanksgiving dinner, and I especially love mixing things up and trying fun new twists on classics. Like Sweet Potato Cranberry Pecan Stuffing and Spiced Cranberry-Pear Sauce and Maple Bacon Roasted Butternut Squash….to name a few. And when it comes to dessert? I feel the exact same way. It’s not that I don’t love tradition….it’s just that I like to have a little fun with it. Why have pumpkin pie when you an have Mini Pumpkin Cheesecakes? Or Pumpkin Lush? And why stick with straight up Pecan Pie (one of my all time favorites) when you can have these adorable little Mini Pecan Pies? These pies are the perfect individual serving size and taste just like the original. But what I love about them is how EASY they are to serve and eat. No cutting, no mess, and to be honest? You barely even need a fork. 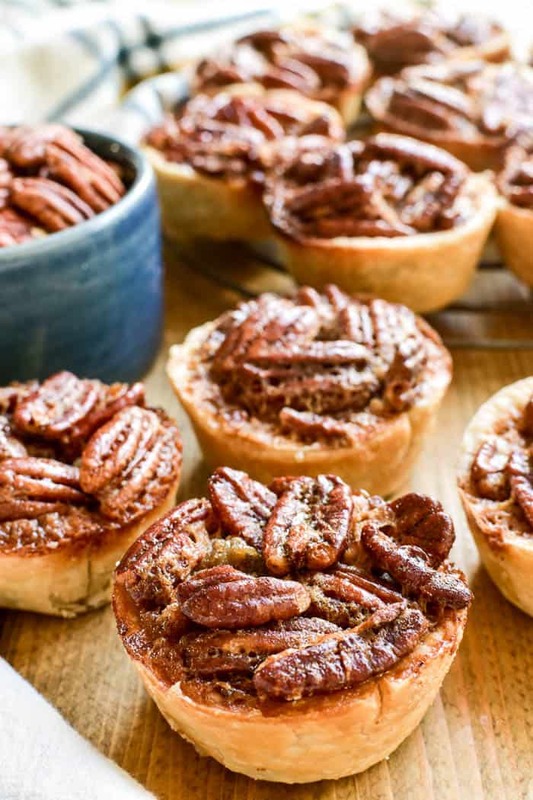 Not only are these Mini Pecan Pies easy to eat….they’re also incredibly easy to make! 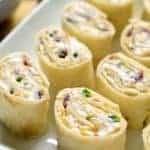 They have less than 10 ingredients and need just 15 minutes of prep. And they come out perfect. Every. Single. Time. Best of all, I was able to find ALL ingredients to make them at Pick ‘n Save. From the pecans to the pie crusts and everything in between, Pick ‘n Save really is a one stop shop for all your holiday needs. In fact, I’ve been stocking up on extra baking ingredients for whenever the mood strikes! Because before we know it, Thanksgiving will be over and Christmas will be just around the corner. Time to be prepared. HOW DO YOU MAKE MINI PECAN PIES? Roll out pie crust dough (2 crusts). Use a 3.5 – 4 inch cookie cutter to cut circles in dough for a total of 12-16 circles. Press dough into a greased nonstick muffin pan. In a medium mixing bowl, combine 3 large eggs, 3/4 c. sugar, and 1 c. light corn syrup. Mix well. Add 2 c. pecan halves, 1/3 c. melted butter, and 1 tsp. vanilla. Mix well. Fill each pie crust with approx. 1/4 cup of filling. Cool completely in pan before removing and serving. HOW DO YOU KNOW WHEN MINI PECAN PIES ARE DONE? Mini Pecan Pies are done baking at the first signs of solidity in the center of the pies. The internal temperature should reach 200° F and the center should not be jiggly. HOW DO YOU SUCCESSFULLY REMOVE MINI PECAN PIES FROM THE PANS? Spray them generously with cooking spray. Do not overfill crusts. Overfilling will cause the filling to stick to the sides of the pan, making the pies more difficult to remove. Cool pies completely in pans before attempting to remove. Use a knife to gently loosen any parts of the filling or crust that may be stuck to the pan. Use the same knife or the handle of a spoon to lift pies out of pans. HOW DO YOU STORE MINI PECAN PIES? Mini Pecan Pies can be kept at room temperature for 1-2 days. If you need to keep them fresh longer, pecan pies can be stored in the refrigerator for up to a week. For longer storage periods, they can also be frozen in an airtight container. For more recipe inspiration, you can visit Pick ‘n Save on Pinterest, Twitter, Facebook, and YouTube. 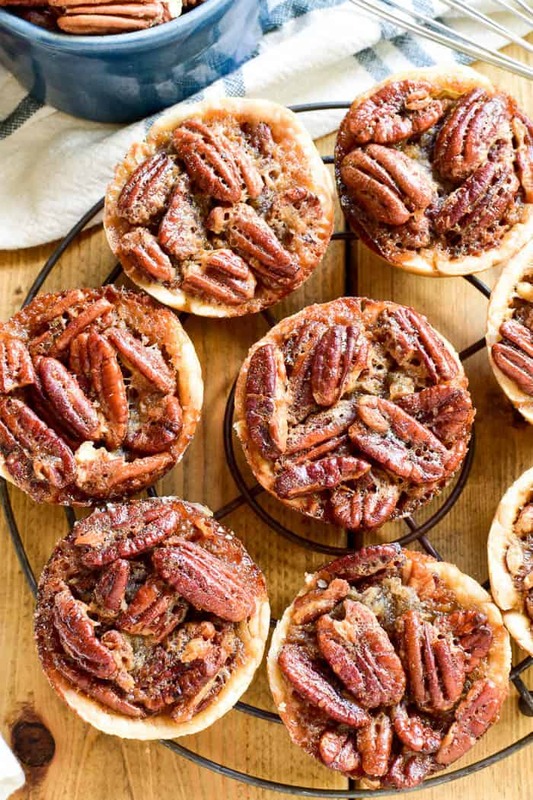 Mini Pecan Pies are the most delicious holiday treat! Made with just a handful of ingredients, these pies come together in no time and are perfect for holiday gatherings. 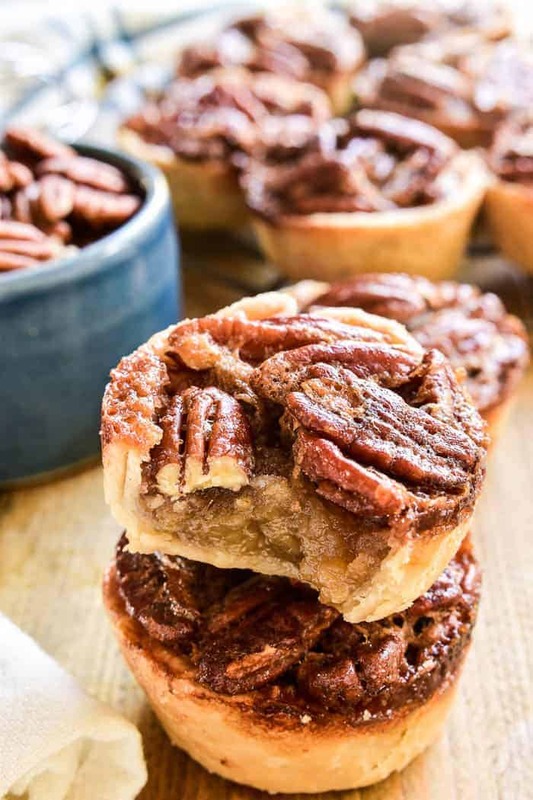 They have all the flavors of pecan pie you know and love, from the crunchy pecans to the gooey filling to the flaky crust. And the individual serving size makes them ideal for entertaining. Sprinkle flour onto work surface. Unroll pie crusts and use a rolling pin to spread out edges. Cut 6-8 circles into each pie crust using a 3.5 - 4 inch cookie cutter. Press circles into a well-greased nonstick muffin pan. In a medium mixing bowl, combine eggs, sugar, and corn syrup. Mix well. Add pecan halves, melted butter, and vanilla. Mix well. Cool completely in pan before removing. To remove: use a knife to gently loosen edges from the pan. Use the same knife or the handle of a spoon to lift the pies out of the pan. I adore these! What a great dessert for a reception or supper club! This is absolutely a great treat! Combinations of those flavors makes this simply irresistible! Oh my goodness! 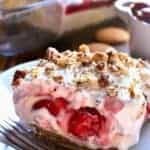 These pies look absolutely amazing! I wish I had some pies right now! Yum! I LOVE these!! They truly are the perfect holiday treat!! Can’t wait to try this recipe!! I love bite-sized desserts! These look delish! I absolutely love this idea! These are the perfect mini sweet treat for the holidays! im sure you could add different pie fillings to this right? What can I replace the light corn syrup with?? something healthier?? Maybe bake pie crust in the muffin tin using parchment paper to lift out easily. I’m going to bake mini homemade chocolate and German choc cake filling then whip cream topping on chocolate and German choc icing on the other!! Yummy!! German choc icing is sooooo delicious. Anyway. Good luck bakers!! 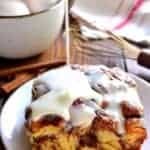 Is it possible to get this recipe by email, my printer is not working & I really want this recipe! Copy and paste into a word document and email the document. Do you use unsalted or salted butter? the recipe cals to mix in the pecans but photos show pecans sitting on top. Do the pecans rise after pouring mixture into pie crusts? I do a mix of 1 cup chopped pecans and 1 cup pecan halves.. the halves rise easier than the chopped, so you will have pecans through out the bites. I replaced it with agave nectar in a different recipe. That might work here as well. How many calories per pie? Looks amazing! Do you use 3.5” or 4” cookie cutter? are these made with mini muffins tins? 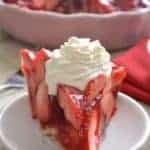 Would the cooking time or any other component of the recipe change if a ready made gluten free pie crust was used? Even though i greased the muffin pan. I had trouble getting them out. Most of the crust stayed behind. Maybe using cupcake paper would work??? Use parchment paper cut to fit into muffin area. Has anyone successfully made these and been able to remove them from the pan? Help! Figured it out… when they were completely cool, I loosened the edges with a butter knife and very gently tapped them out of the pan, one at a time. Kind of tricky, but I only broke one. It was delicious! The first time I made them.they stuck as well so I bought a newer better cupcake pan and they come out perfect! 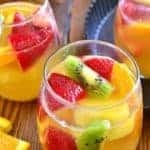 This is a GREAT RECIPE!!! I just made this recipe to take to thanksgiving dinner Tmw night. I did add about a teas. Of cinnamon . Also i did half karo syrup and half pure maple syrup. Also brown sugar instead of white sugar. 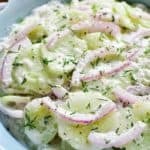 Thanks for this recipe i will be making it for special get togethers. 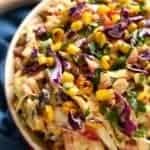 I think this recipe just became a Thanks giving tradtion now. 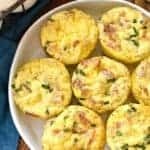 Can these be prepared ahead of time and then cooked later? Could these be frozen before baked and then baked at a later date? 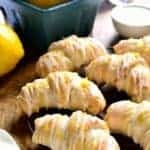 These were a disaster! Too much ‘handling,’ and a waste of perfectly good, expensive pecans. Scrape, scrape, scrape the inside of the nonstick/coated with chemicals/muffin pans. What a disappointment after two hours of tedium. The ‘lite’ corn syrup should have tipped me off, texture notwithstanding. Your video was compelling, however. Ugh, made them twice, now, and both times the filling spilled over the pie crust and glued itself to the muffin tin. Used a knife to try and get the edges free, but some were just disaters. The survivors tasted great, but weren’t exactly pretty! I’m buying new muffin tins, maybe that will help for next time….if I try it again. It’s much easier to just make a normal pecan pie. what about using pre made mini tart shells ? You could definitely use pre-made shells…if doing so I would recommend using chopped pecans so you can fit more filling in the shells. These are called butter tarts!!!! Not mini pies!!! If you fill them too high they spill over because they puff up!! !